My 2017 blogging year didn’t go quite as planned. Two posts a month was what I promised. And with 33 for the year I ever so slightly overachieved. So unplanned in a positive way. This number was down significantly on my 2016 total of 60+ posts, but deliberately so. I continue to enjoy researching and writing. I also find the process helps me to focus on, and review, my personal family history research. But keeping volume up, alongside quality and interest, is a tricky balance. Hopefully I achieved that balance in 2017. I accidentally stumbled into this blogging lark. My blog started in April 2015. In those first nine months it had a tad over 2,900 views. In 2016 it grew to 12,163. So how does 2017 compare? The Headlines: Despite the reduced output my blog did not suffer. It had 20,649 views. I feel slightly giddy and ever so grateful that folk actually looked at my random stories and thoughts about family and local history. In 2015 I averaged roughly about 322 views per month. In 2016 this grew to over 1,000 per month. Roll forward to 2017, and it achieved over 1,700 per month. My Best Day: 28 July 2017 had an amazing 662 views. For hard-core bloggers that’s not many, but I feel hugely privileged so many people took the time out to engage. Sunday is now my most popular day, with 22% of views. And, once more, the golden hour is 8pm. How Did They Find You? Facebook was the primary referrer with over 5,000 clicks leading to my site. Search Engines accounted for almost 4,000. Where Did They Come From? The global reach of WordPress continues to astonish, with views from around 80 countries. Unsurprisingly, as I’m based in England, over 13,000 were from the UK. Almost 4,000 reached me from the USA. But I had views as far afield as Rwanda, Fiji, Venezuela, Albania and Lebanon (one from each of those countries). So if you’re reading this a huge thank you! I also loved reading the comments I’ve received indirectly via Facebook and Twitter, or directly on my blog site. 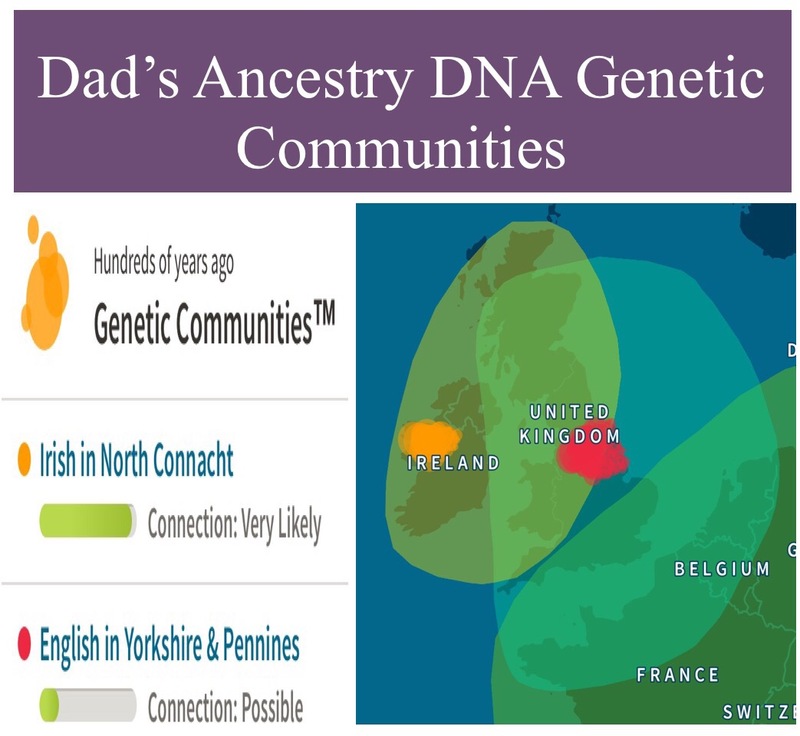 Some of these have resulted in new direct family history connections with distant cousins. Others have been from descendants of those named in my research. Again, thank you for getting in touch. Access to Archives – What Price and at What Cost? This was my reaction to the news that Northamptonshire Archives proposed introducing charges to visit, alongside a reduced number of free access hours. The fact this post received over 1,500 views is testimony to the concern felt throughout the academic and family history communities about this development. The proposal was thankfully shelved. But it shows the ongoing issues we face with access to archives at a time when Councils are facing difficult choices about their priorities in a climate of tight funding. Buried Alive: A Yorkshire Cemetery Sensation had almost 1,000 views, with its multiple stories of people ‘rising from the dead’. 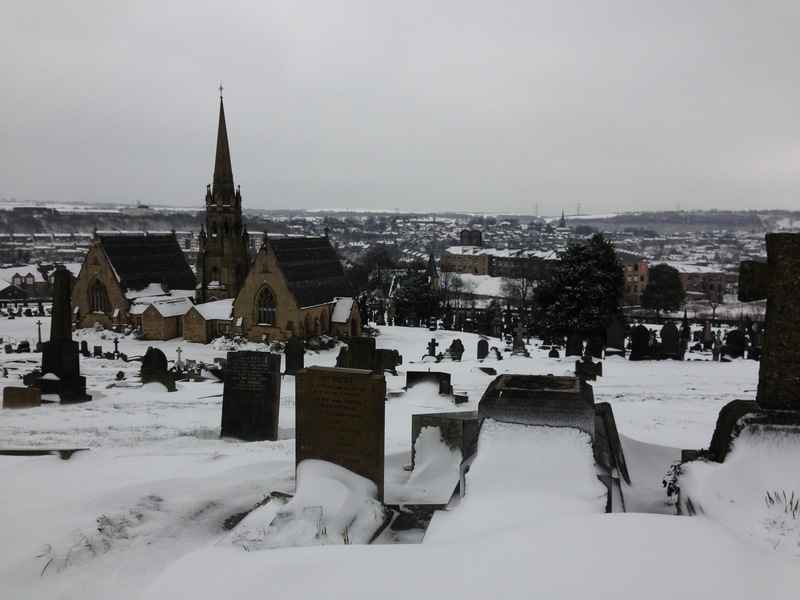 It included a particularly macabre tale from Leeds, with a gravedigger seemingly ignoring knocking from a coffin. It goes to show that the Victorian fear and obsession with premature internment still holds a fascination today. General Register Office (GRO) Index – New & Free was actually posted in 2016. But in 2017 it had a resurgence, with its close to 800 views more than doubling its 2016 tally. This post was about a new free source for searching the GRO birth and death indexes (note not marriages) for certain years, one which gives additional search options. It also covered the initial £6 PDF certificate trials. There is currently an extended pilot running for these £6 PDFs, which I blogged about here. 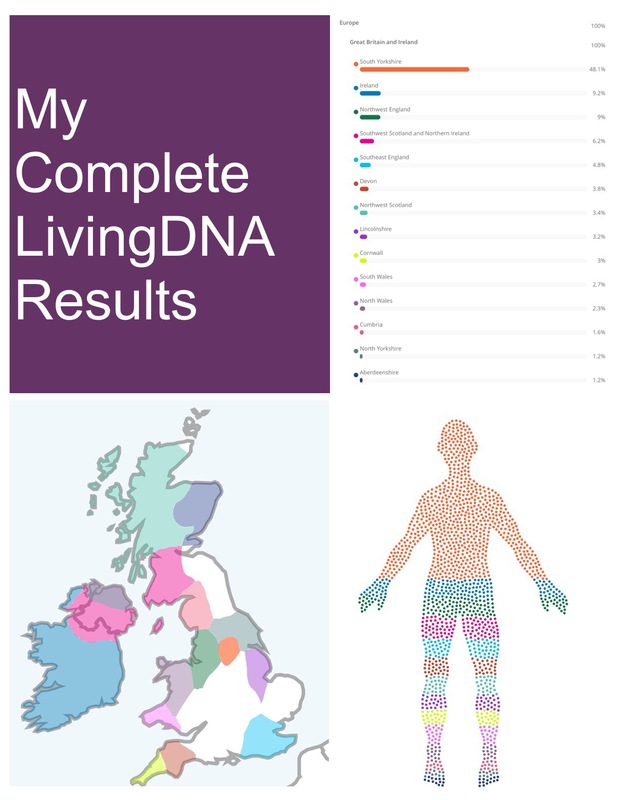 Living DNA: I’m Not Who I Thought I Was dealt with my latest shocking DNA results. 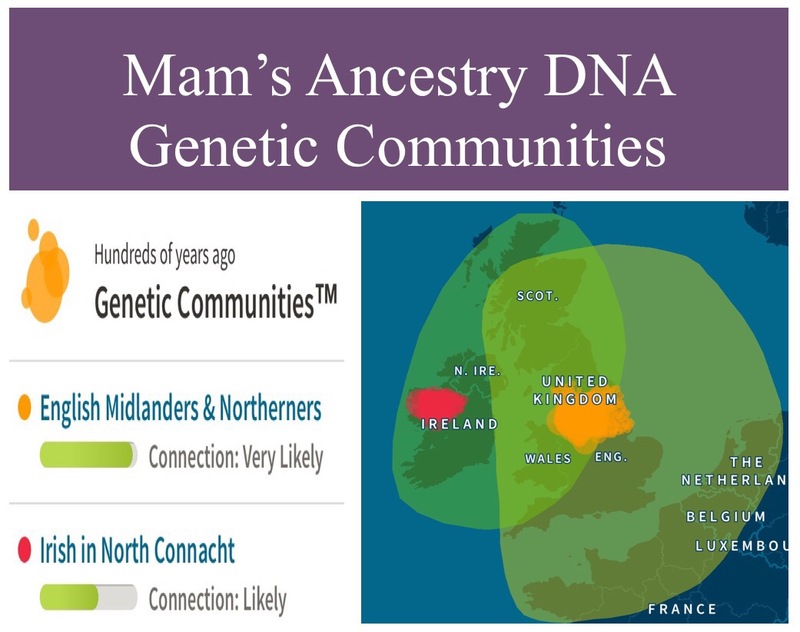 I’m 100% from Great Britain and Ireland. No drama there. But imagine the horror this Yorkshire lass felt to discover she has genetic material from the dark side of the Pennines. I did try to kid myself that it couldn’t possibly be Lancashire blood. 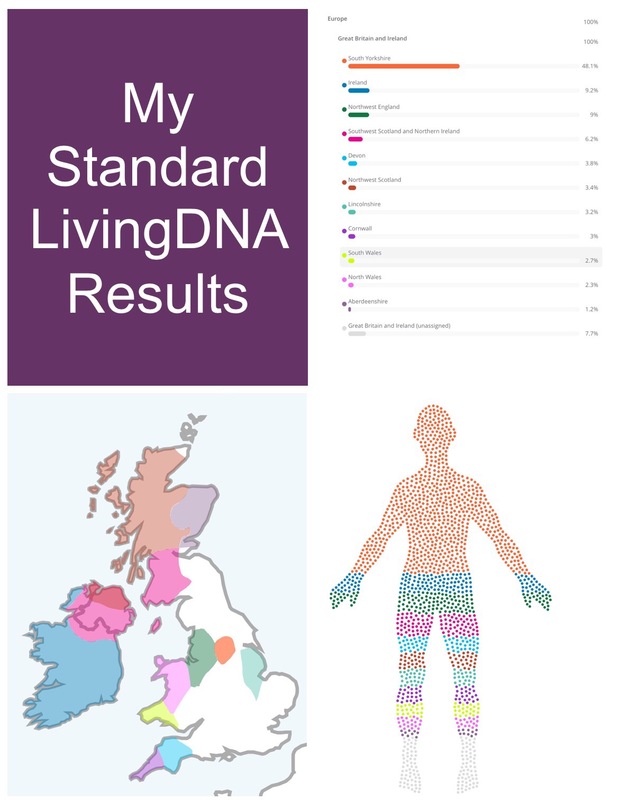 But a discovery last month via traditional family history research seems to confirm the accuracy of LivingDNA’s results. It points to a 5x great grandmother from Colne. How could my mum inflict this on me? A Dirty Tale from a Yorkshire Town had just shy of 600 views. The 1852 inquiry into sanitation in Batley proved to be a fascinating peek into the lives of our ancestors, their struggles to obtain drinking water, the issues of sanitation in an increasingly urbanised area, the problems with disposing of the dead and the knock on health effects, with frequent epidemics. All illustrated with examples from the town. Despite the grim and dry(?) subject, the post clearly whet the appetite for this type of local context to family history. 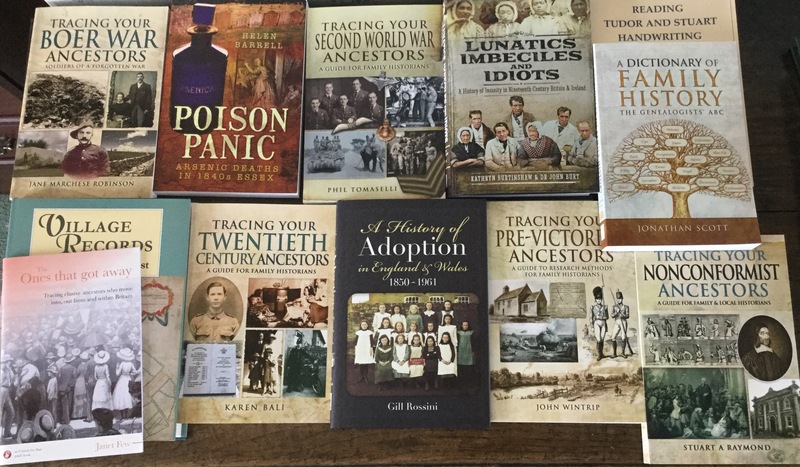 So a real mix of posts ranging from topical family history issues, to DNA and general history and local history tales. This snapshot really sums up what my blog is about. A bit of my family history, interspersed with general genealogical topical updates, and a smattering of local history posts about the lives and times of my ancestors and the communities in which they lived. Death by Dentition looked at teething as a cause of infant death in the 19th century. This research was promoted by the discovery of my 3x great grandmother’s youngest daughter’s death in 1870. Batman – My Family History Super Hero uncovered the extraordinary persistence of my aged Irish great grandad in trying, and lying, to enlist to serve in the Great War not once, not twice but three times. I discovered his final attempt in 1918 was to join the newly formed RAF. So he, not his grandson (my dad) was the first to serve in that branch of the military. In my commitment to the role of libraries in the community, I shared my thoughts on their importance in A Library is Not a Luxury but One of the Necessities of Life. I also wrote about a couple of murders with local connections. One remains unsolved. Cold Case: The Huddersfield Tub Murder involved a woman of ‘ill-repute‘ whose tragic life and abusive relationships ultimately resulted in her death. The other, Mother-in-Law Murderer, was a tale of poisoning which resulted in the hanging of a Batley woman in 1794. Finally, if you want to discover a claim to Brontë fame, check out Finding Your Brontë links. What Does 2018 Promise? Well, as in 2017, I aim to do two posts a month. I’ve lots of ideas for these, including some in-depth research pieces. In this centenary year of the Armistice, some will definitely have a Great War theme. Others will have a more general family or local history context. And, of course, there will be the occasional topical offering when something big hits the genealogy news. Hopefully these topics remain relevant and interesting, but any other suggestions would be welcome. The big question, as ever for me, is time. 2018 promises to be a busy year personally and professionally. This may impact on my blogging output, as I do need to focus on my family history client research work, the final year of my assessed genealogy course and my book. I’ll have to see how it pans out. But whatever my blogging year holds, thank you for reading, engaging and supporting. Wishing you a happy, peaceful 2018 filled with family history fun! Lost in France (Or Belgium)? Not Me, Thanks to a Friendly LinesMan. I’m back from my latest visit to the Somme and Ypres area. In 11 days I notched up in excess of 100 miles walking the battlefields. And, thanks to a fantastic piece of kit which I used for the first time this visit, I reckon on this trip few of those miles were as a result of getting lost and retracing steps. Let me introduce my new guide: it’s called a LinesMan. WW1 Trench Maps put together in one handy package by Great War Digital. This miracle-worker actually belongs to my husband. It was his Christmas present. But due to surgery a few weeks ago, he wasn’t up to miles of walking. I was. Hence I laid claim to it – and I’m now loath to let it go. I love walking the battlefields. In my opinion it’s the only way to get an appreciation of the distances and lie of the land facing those involved in the Great War. Normally I’m armed with walking guidebooks: Paul Reed’s ‘Walking the Somme’ and his old edition of ‘Walking the Salient‘; plus ‘A Visitor’s Guide: The First Day of the Somme: Gommecourt to Maricourt‘, and ﻿‘Battle Lines Ypres: Nieuwpoort to Ploegsteert‘ by Jon Cooksey and Jerry Murland. Brilliant though they are, occasionally the instructions are too ambiguous for me, which leads me up the battlefield equivalent of the garden path – the mis-communication trench. For example, instructions such as “Continue through the woods…Approximately halfway along you will notice a track running off to your left at right angles. This was the junctionof Bunhill Row with the Strand” could be problematical if the route is unfamiliar. How can I be expected to know what is halfway on a path I’ve never trodden? Cue my LinesMan maps. 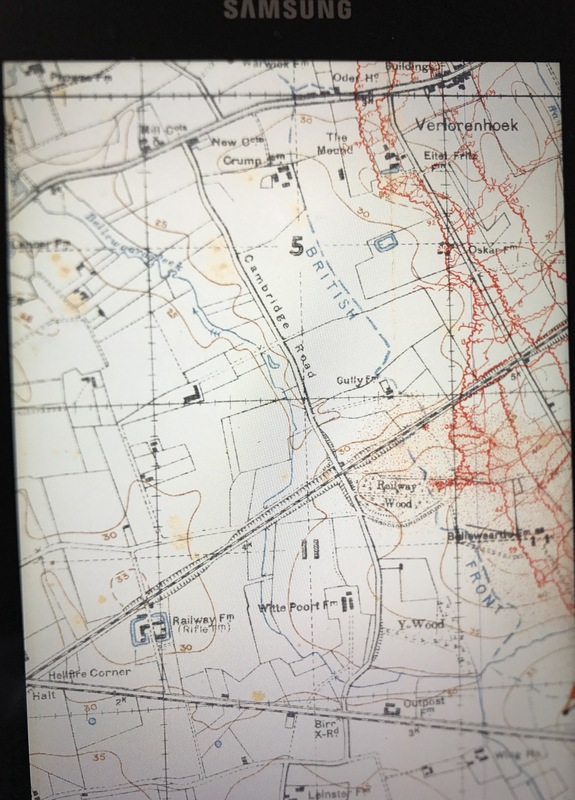 I have the LinesMan2Go version, which is a Samsung Galaxy tablet preloaded with over original 800 geo-referenced digital images of British 1:10,000 scale trench maps of the Western Front in Belgium and France. The GPS shows exactly where I am via a red onscreen tracker circle, and the map pinpoints where the Bunhill Row/Strand junction is. I can see exactly where I am in relation to the junction, a real navigation aid. 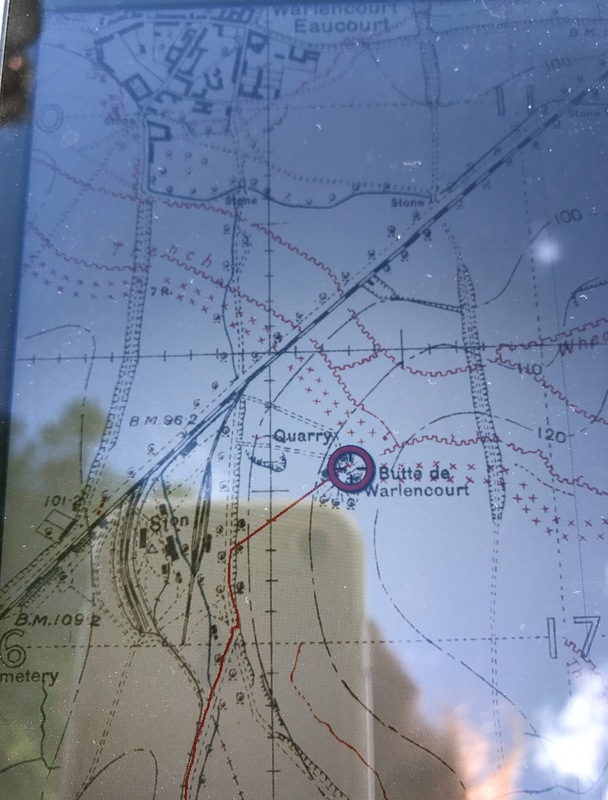 An illustration of this is the photo below on the Butte de Warlencourt walk from Paul Reed’s 2nd edition of ‘Walking the Somme‘. Proof I made it. On other occasions its beauty is in its ability to confirm you have taken the correct overgrown track and are heading in the right direction – a welcome reassurance when you’ve been walking for ages in what seems like the middle of nowhere! The option to track my route via the LinesMan, in conjunction with the guide book, gives an even greater understanding of the terrain. The maps cover different dates, so one area has several maps enabling you to see any changes over time as well as linking to modern times. The LinesMan is therefore a perfect partner to the books. No need now to take multiple bulky trench maps on my visits, and even worse find I’ve left the relevant one at home. More than that though, the LinesMan is invaluable from a family history point of view. It has enabled me to track the final days of my ancestor Jesse Hill. He served with the 6th King’s Own Yorkshire Light Infantry (KOYLI) and was killed in action on 19 September 1915, near Ypres. 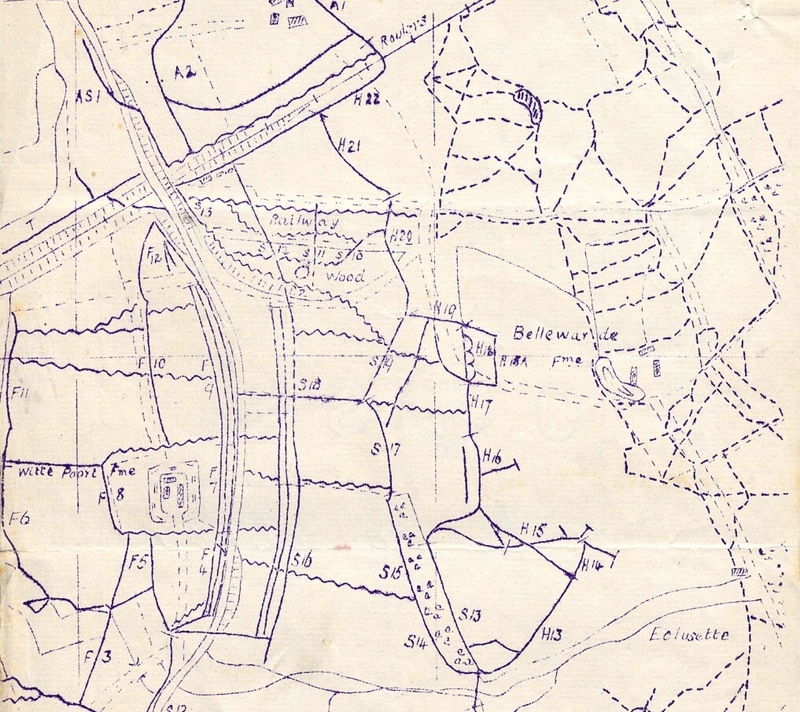 The Unit War Diary includes a map of ‘H‘ Sector dated 27 July 1915, and it is in trenches in this Sector the battalion were based at the time of Jesse’s death. Comparing this Unit War Diary map with the Bellewaarde Ridge & Hooge walk in Cooksey & Murland, then tracking my route via my LinesMan maps enabled me to confirm earlier research, and pinpoint with confidence the area in which he died. Walking the actual trench locations wasn’t possible – a field full of turnips put paid to that (at least that’s what they looked to be given my pathetic agricultural skills, *ancestors spinning in their graves*). But it was enough for me just to know I’d definitely nailed it. It also confirmed the fact that my previous visits, without aid of the LinesMan2Go, had put me in roughly the right area. It’s good to have that final piece of confirmation though. But it also has other uses. Map references, for example those CWGC ones indicating where bodies were found prior to being brought into concentration cemeteries, take on a new relevance with my LinesMan. I also liked the facility to map routes out as I walked them, so I could review my footsteps at the end of my walk. And flicking through the range of maps for a particular location across different dates show the changes (or not) which took place during the course of the war. I do need to get more practice using my LinesMan (yes, I’ve claimed it) in order to familiarise myself with all its features and get the best out of it. Initial issues for me, which more practice should resolve include improving my speed in manipulating the various maps; I also found it extremely touch sensitive, so found myself inadvertently flicking maps – but again more use should remedy this. More problematical issues, which are beyond my control, relate to weather: too sunny and screen glare becomes an issue; too wet, and at times rain proved torrential, is even worse – I didn’t dare use my precious tablet. As I mentioned I (sorry, Chris) have the LinesMan2Go version: a tablet with all the maps pre-loaded. That’s because I was a tad worried at my ability to transfer the maps to iPhone, iPad or Android device. For me the primary reason for the kit was to enhance my battlefield visits. But I would like to view the maps on my computer, beyond what is available via the National Library of Scotland maps. So for that reason perhaps I should have been braver and trusted my technological skills. For more details about the Great War Digital’s LinesMan products, including how to purchase them, click here. Finally, my review of this product is totally independent. I used the LinesMan2Go for the first time this visit, and was so impressed by it I wanted to share my experience. 2017 proved a very different “WDYTYA? 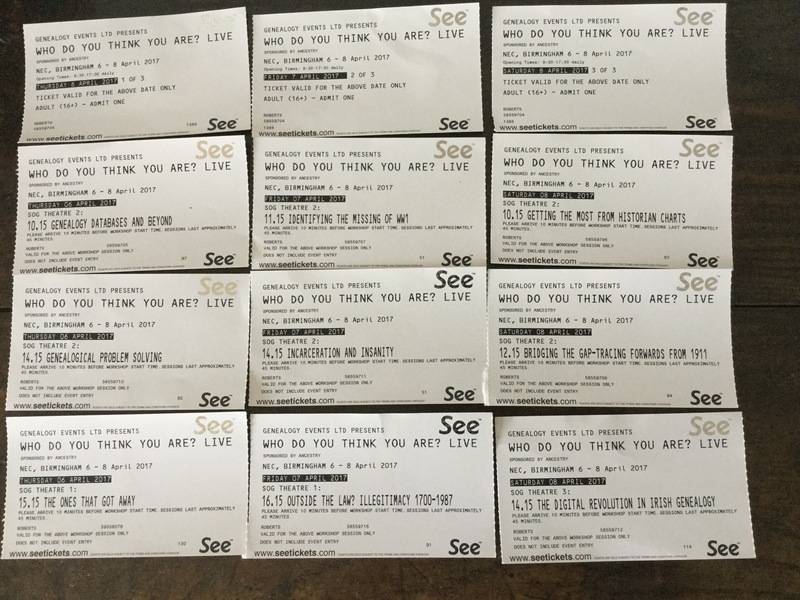 Live” show experience for me on a number of counts. 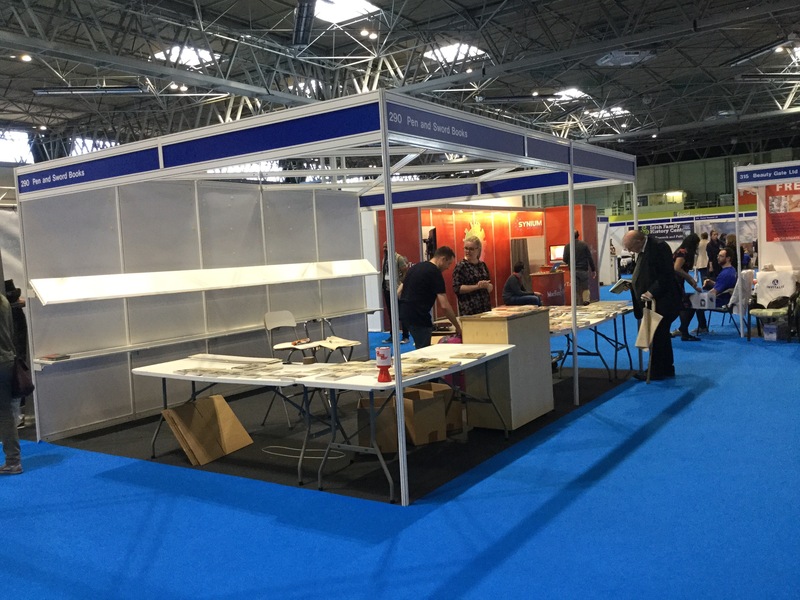 The major shift this year, instead of cramming everything into one day including the travelling, I did the full three days and stayed within walking distance of the NEC. It made for a far more relaxed, sensibly paced visit, with plenty time to chat, plan, rehydrate, refuel and rest. No running round like an episode of “Challenge Anneka” #ShowingMyAge. It meant I could visit all the exhibitors I planned to see and more besides. I’m not saying I didn’t forget things – on the journey home I realised I’d not made use of a £5 voucher I’d picked up with one of my purchases. But there were very few “kick myself” moments on that homeward journey. 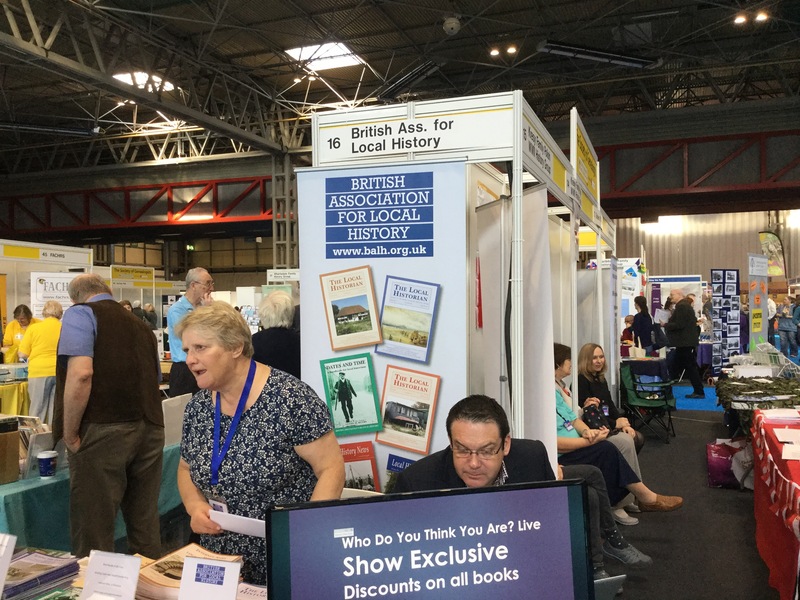 As ever a wide range of exhibitors and experts were present, representing a breadth of family history aspects. From the big dataset providers, genealogy and software suppliers to Family History Societies and the archives sector. From companies providing family history courses to professional organisations and publishers. 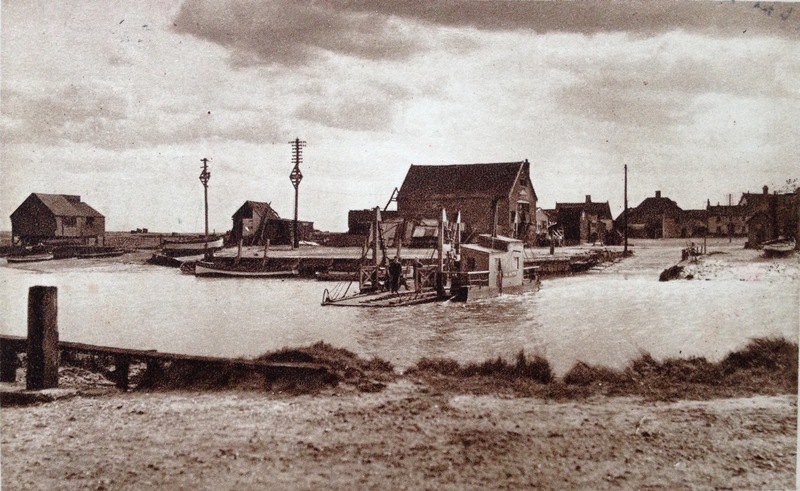 Niche interests were represented too such as theatrical ancestors, the ShipIndex for researching vessels associated with ancestors and the Canal and River Trust: The Waterways Archive, described as “a treasure chest for anyone with waterways’ ancestors”. There’s the international aspect too. Not just England, Ireland, Scotland and Wales but Belgium, Luxembourg, France, the Netherlands, Germany, Poland, the Caribbean and Canada. An aside, not sure if this was just my perception, but did there seem to be far more non-family history related stands this year? I really wouldn’t like this to get out of hand in future and detract from what is the country’s largest family history show. The military sector was there in force, fittingly including ancestral tourism such as Mons Memorial Tourism, in this period of centenary commemorations. In addition were the excellent displays by Dig for Victory and The Battlefields Partnership. 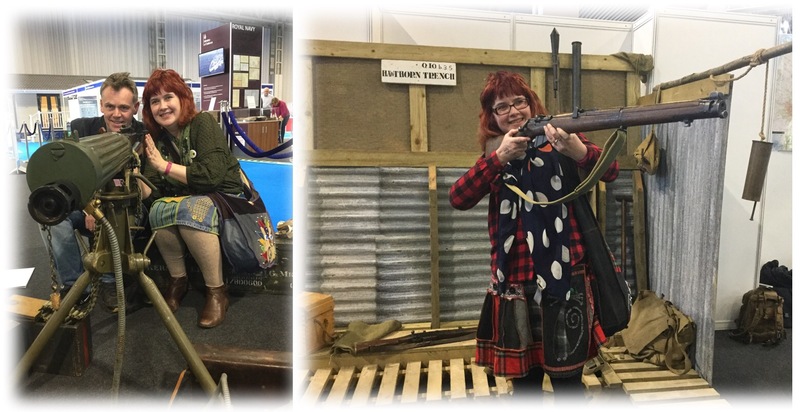 At the latter I achieved a long-held ambition to hold a Short Magazine Lee-Enfield (SMLE) from the Great War. My arm and shoulder ached afterwards – it was quite heavy and I was fairly slow on the uptake as to what to do. The MoD stand proved of particular interest to me. TNT Archive Services, which holds those as yet unreleased MoD service records (essentially 1920 onwards depending on rank) had a database where you could ask them to search for a record of interest. I had a few to check, and confirmed they held them all, including records for those who did National Service. I definitely intend applying for two of them but I’m holding off for now. 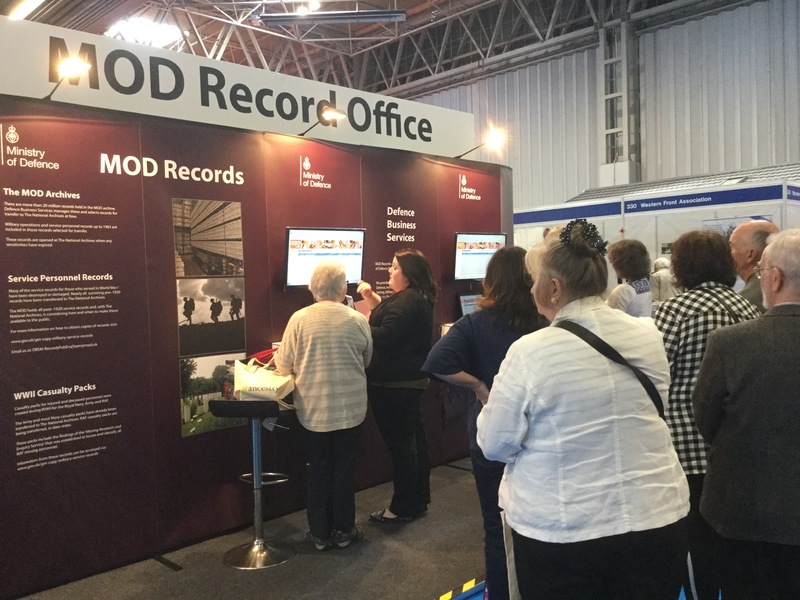 During the show Chris Baker, military historian, researcher and author, tweeted: “MOD saying today that an exciting announcement concerning post-1921 army service records is soon to be made”. So is this a transfer to The National Archives, or a digitisation project enabling speedier access? I’m waiting to see. As ever you could always seek expert help in interpreting finds, breaking down brick walls, finding pointers for further research and identifying and dating family treasures and photos. 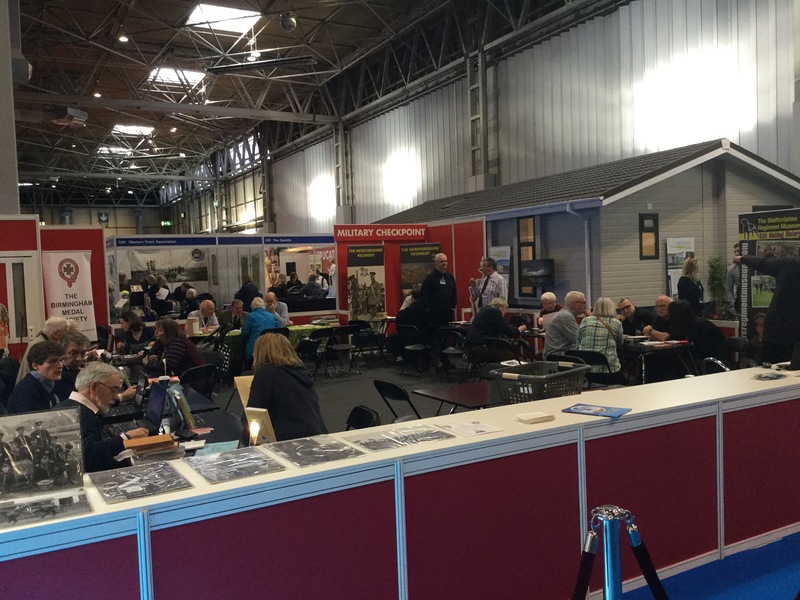 Besides the Military Checkpoint manned by a range of military museum specialists, the popular Ask the Expert area returned for wider queries as did show stalwart Eric Knowles with his Heirloom Detectives section. There were however some notable absentees amongst the major players, who I really expected to have a presence at this prestigious annual national event. These included The National Archives, The Imperial War Museum, Forces War Records and Fold3. Yes, money is tight, the public and charity sector have taken massive Government funding cuts, and having a presence at these events does not come cheap. And yes, others may be off-shoots of bigger companies. But I really was disappointed not to see them at the show, and I think many others will share that sense of disappointment. It wasn’t as if all Government departments were absent. The MoD turned up, as did the General Register Office. I’m still thinking about ordering a couple of certificates in Phase 3 of their trial, those certificates not held in a digital format (births 1935-2006, deaths 1958-2006 and marriages 1837-2010). They were apparently overwhelmed by Phase 1, the £6 PDFs of those certificates digitised under the now suspended DoVE (Digitisation of Vital Events) project. Take up of Phase 2, the £45 three-hour turn round option, aimed mainly at probate companies, was far lower than anticipated. Once Phase 3 is finished they will all be evaluated and a decision taken of which (if any) to roll forward. DNA was promoted heavily in the 2017 show. Some unbelievable offers featured, with a constant stream of customers buying multiple kits. For example Ancestry sold at £49 (with no P&P addition); Living DNA £99; and Family Tree DNA Family Finder was £40, Y-DNA 25 £70, Y-DNA 37 £80, MtDNA Plus £50 and MtDNA Full Sequence £100. I desperately tried to engage my family, but in the end the only “persuadee” was my husband. So no direct DNA breakthrough with that one. Although with the number of kits flying off the shelves this will hopefully result in an expansion of the U.K. DNA pool, more matches and more of these matches with trees attached (please). So maybe I’ll get lucky that way. In fact fantastic offers abounded throughout the hall. In addition to DNA, I succumbed to a number. These included a show discount on Family Historian 6 and accompanying guide book; a subscription to Family Tree Magazine with three issues for £4.99, a goody bundle, £10 cash back, a £5 voucher to spend at the show (which I forgot about) and a discounted quarterly subscription rate which kicks in later this summer; I picked up a discount from Ancestry which I will use when my annual subscription comes up for renewal; I signed up to a Pharos Tutors course, “In sickness and in death” with a 10% discount, cheery soul that I am; and as for books…..a 30% discount at the History Press stand lured me into my first show purchase. As for Pen and Sword I was one of the hoards flocking round flashing cash, which saw their books flying off their stand with their offer of three for £25 or five for £45. I’m not sure I saw the logic of that price strategy and I think the sign was amended later to six for £45. 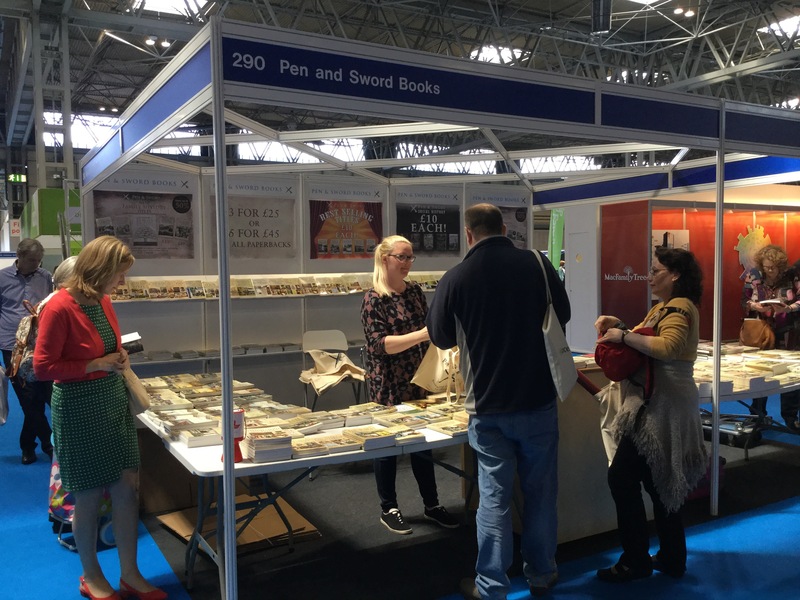 I was so pleased I bought my Pen and Sword titles on the first two days, because a number of books did sell out. In and amongst this shopping frenzy I also found time to renew my Shropshire FHS subscription, as I do at some stage intend researching my husband’s family history. 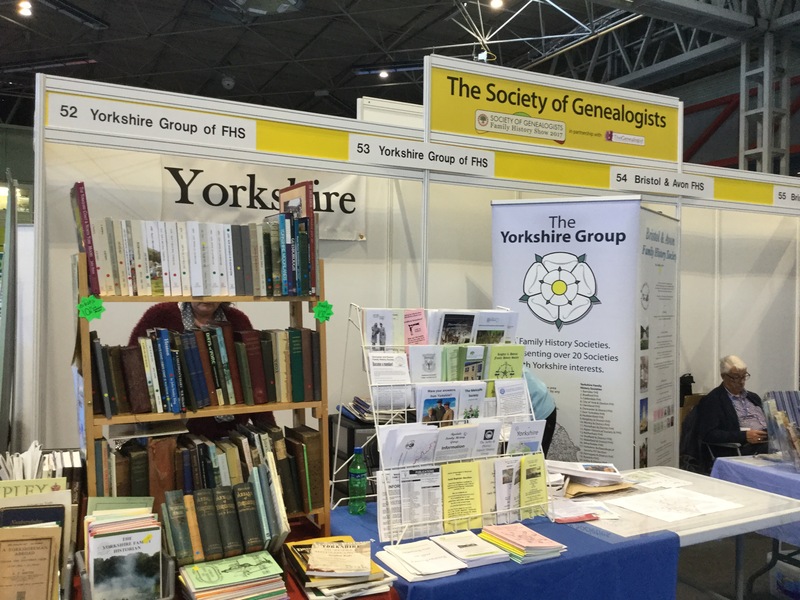 Family History Societies are a wonderful, and in this digital age possibly overlooked, source of information. As for talks, again the three day visit meant I could do a selection without brain overload. One thing I found a tad frustrating was how the schedule came through in dribs and drabs leading up to the show. Based on previous experience of talks selling out before the show date I pre-booked mine, only to find nearer the date others were announced which I would have opted for. Too late as they clashed with ones I’d already coughed up cash for. I attended 10 talks over the three days. These combined a mixture of specialties, general research techniques, and my specific Irish and World War 1 interests. 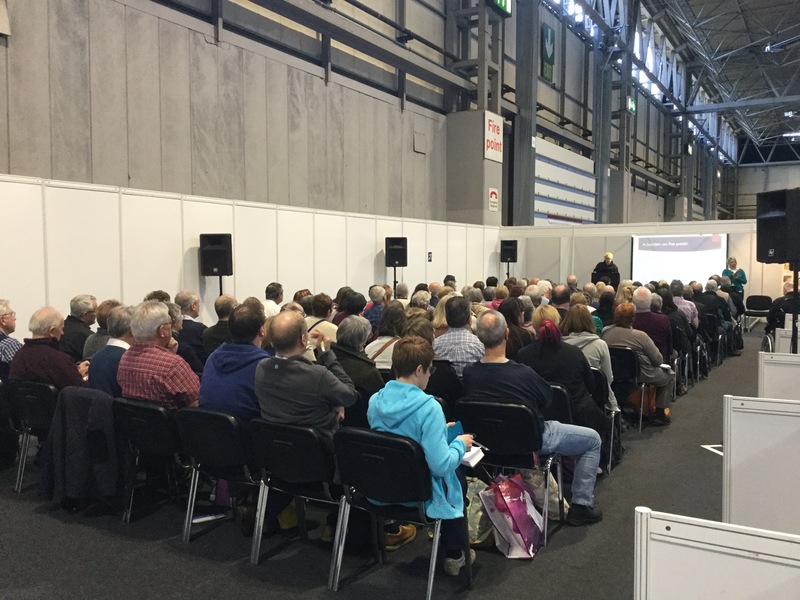 I felt I got the balance right and I’ll be checking the Society of Genealogists website for the slide uploads. One or two were particularly challenging and perhaps less suited to those with a casual interest or beginners, which was reflected in the numbers leaving during these talks. I’m not sure if there is any way in advance of indicating the level of the talk as it must be off putting for the speaker, as well as distracting for the audience, to see a steady trickle of leavers. It’s difficult to pick out a favourite talk. All were insightful in different ways. And I’m full of admiration for the speakers as its not an easy task to talk in front of such a big audience and pitch it at the right level. 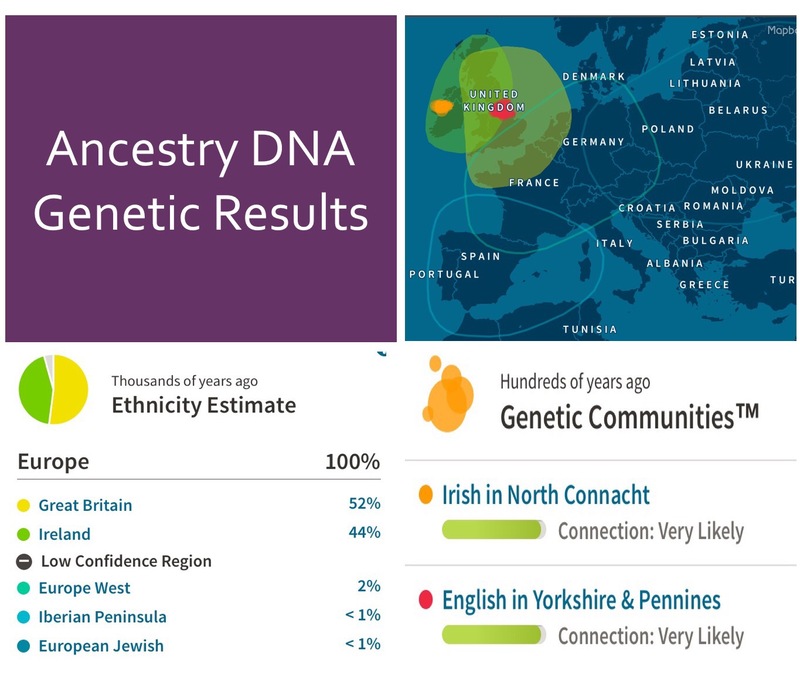 I’ve already put into practice a tip I learned from Jackie Depelle’s “Bridging the Gap – Tracing Forward from 1911” talk, and added to some German family research I undertook a few years ago by looking at the German baptisms on Ancestry. But in terms of general enjoyment, I loved Neil McGurk’s “The British Soldier of 1917” looking at the uniform, equipment and its evolution. A great presentation packed with interesting and often amusing information! DNA featured as prominently in the talks as it did amongst the exhibitors. This year I only attended one talk loosely related to this topic, and that came from a more general interest rather than a tips and explanation angle. 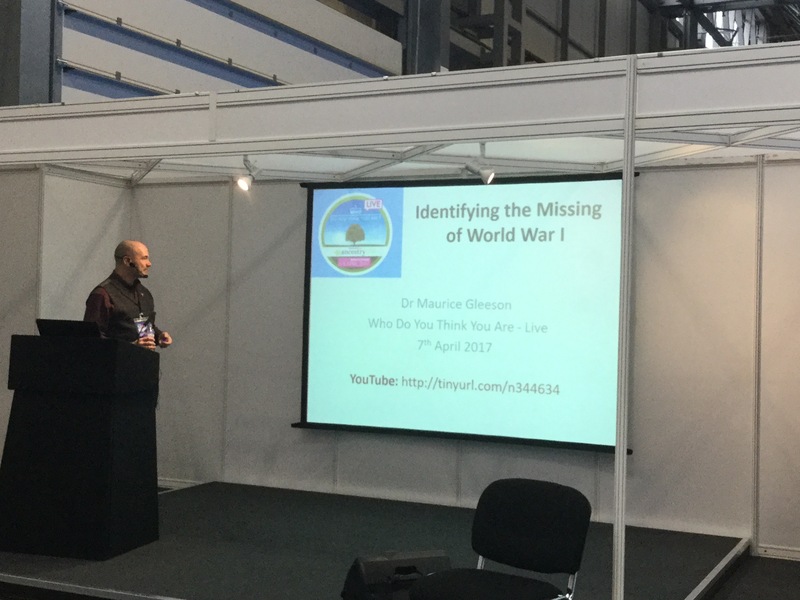 “Identifying the Missing of World War 1″ by Maurice Gleeson examined the practical application of DNA technology married with solid genealogical research to put names to the remains of those service personnel periodically unearthed from the soil of the Western Front. 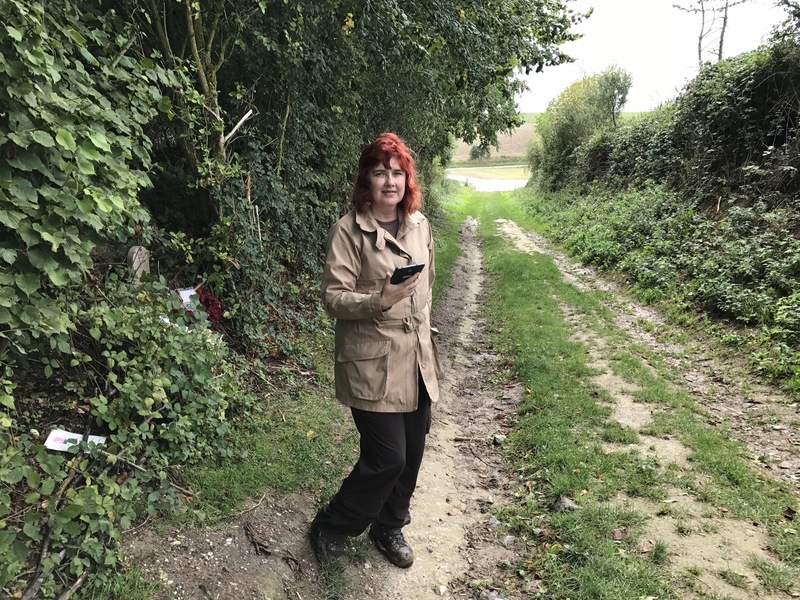 The Fromelles project, which aimed to put names to the 250 men in the mass graves discovered in 2009 near Pheasant Wood illustrated how vital DNA proved in all cases of the 150 men so far identified. Work continues to try to put names to the remainder if at all possible. 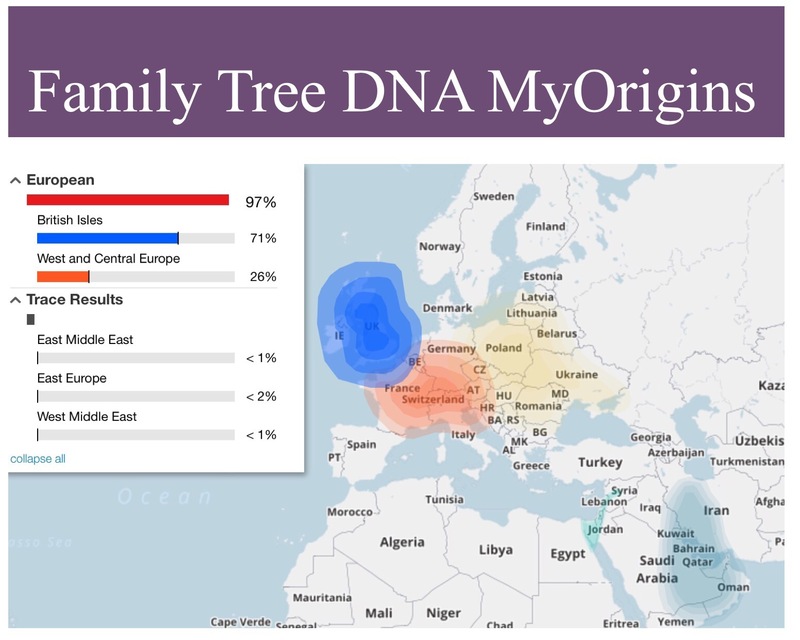 Hats off too to the genealogists involved in tracing “informative” Y and MtDNA line ancestors. I’d love to be involved in this kind of worthwhile work, a wonderful way to give something back and enable these service personnel the dignity of a named final resting place and their descendants a sense of closure. A video of this talk, given at another event, is online. I would definitely recommend viewing it. Another shift for me this year was doing a stint on a stand. Only for 90 minutes, but it gave a whole new perspective on the show. 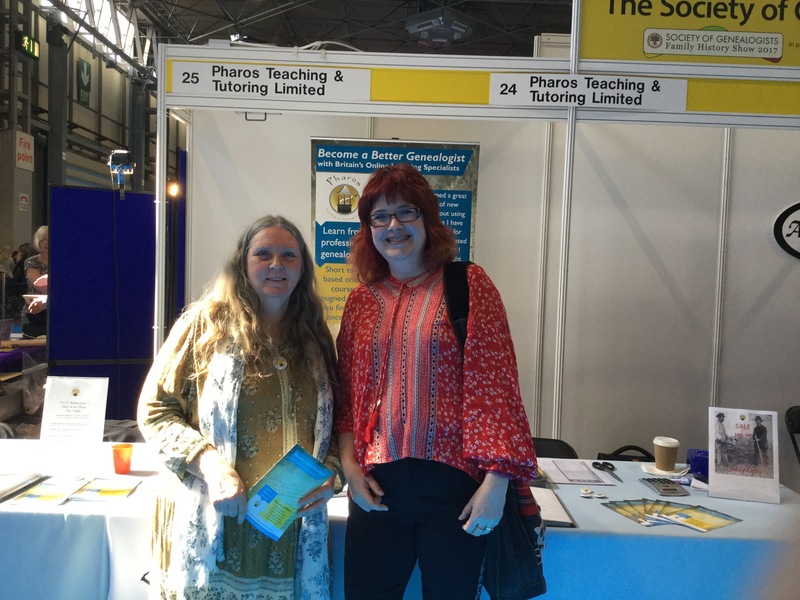 I helped on the Pharos Tutors stand, to give the student view of the courses and structure. I really enjoyed chatting to people and it gave an indication of how much effort and how tiring, but rewarding, it can be to have a stand at the show. It was also interesting to observe the ebb and flow of visitors and general show footfall. And the final big difference at a personal level this year was the social aspect. 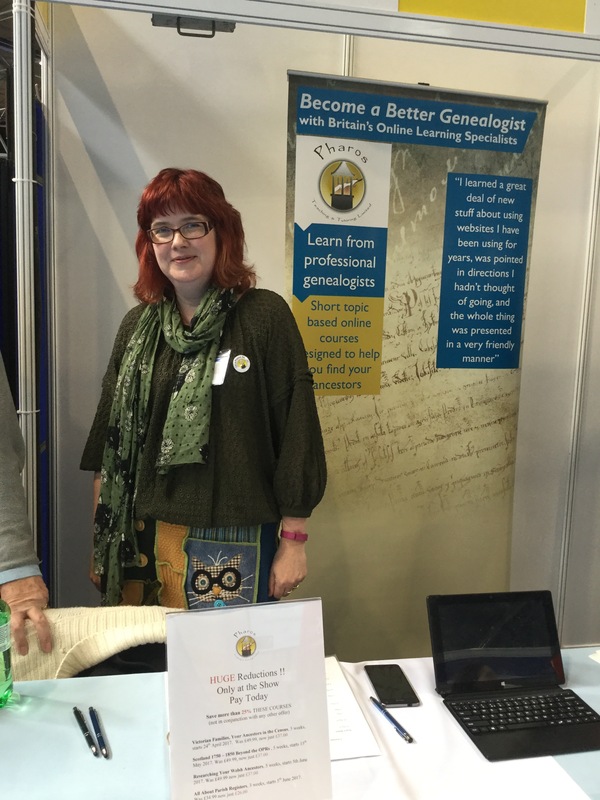 Over the past year or so through courses and social media, including #AncestryHour at 7pm-8pm on Tuesday’s, I’ve “met” so many folk with a passion for genealogy. “WDYTYA? Live” was a fantastic opportunity to catch up with some I had met previously, and meet even more for the first time. That for me was the real highlight of this year’s show. Last word on the 2017 show is a massive thank you to all those involved in organising the event, and to the speakers and exhibitors. Another fabulous event and I’ve returned with fresh ideas and renewed vigour for my research. Ordinary Lives: Family History is Best Left in the Graves of Our Ancestors? Last night a family member asked if I’d unearthed any more embarrassing incidents in our family history. The individual appeared to be particularly concerned about the stigma from having a one-handed gypsy ancestor who gave birth to an illegitimate son whilst on the road in the company of a gaggle of 18th century chimney sweep apprentices. They straw-clutchingly tried to point out that giving birth on the roadside was perfectly normal for the period. There was no ambulance service, or so their argument went. And so lies one of the dichotomies of family history. My relative seemingly didn’t want any hint of scandal in our background. They wanted an ordinary, uneventful lineage. They took anything otherwise as casting some kind of lingering reputational stain passed down through the generations. A case of these things are best left in the past. Dirty linen, no matter how old, should never see the light of day. The dead should be portrayed as paragons of virtue. Their human weaknesses buried alongside them in their graves. In short the skeletons of ancestors should be left in their graves. They want a family tree populated with ancestors who lived ordinary, unremarkable, hard-working lives, with no speck of scandal. For me family history is about every-day lives. Some are ordinary, some are less so. But that’s part of the rich tapestry of life. It’s a mixture of all sorts. And you can’t gloss over the less palatable tales. No more so than you should discount the mundane. All facets are equally valid.